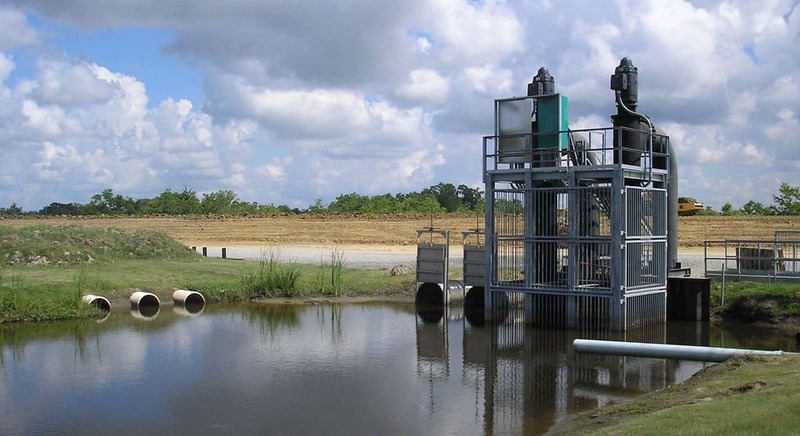 Lo-Lift Pumps produces Propeller and Mixed Flow pumps for a variety of applications, including irrigation, flood control, water parks, and floating dry docks. With a rich history and quality workmanship, our pumps are used the world over. Here on our website, there is information about our history and the various types of products we manufacture. Please feel free to read through this information, and if you have any questions about our products, you can use the contact webform to send us an email. Thank you for visiting our website, and here at van Ness Lo-Lift Pump Company, you will find a pump for your water control needs. Located in a small town in Louisiana, The Lo-Lift Pump Company, Inc. was founded in 1892 by M. B. van Ness and a partner. The establishment was a general repair and black smith shop. Lo-Lift Pump offers a wide selection of quality propeller and mixed flow products used the world over and capable of pumping up to 50,000 gallons of water per minute. Have questions about our products and their capabilities? Need more information about what type of pump will work for your project? Let us help you and contact us.